Sasha Says: Release Pricing: Carolina Days Complete Series just 99 cents!!!!! 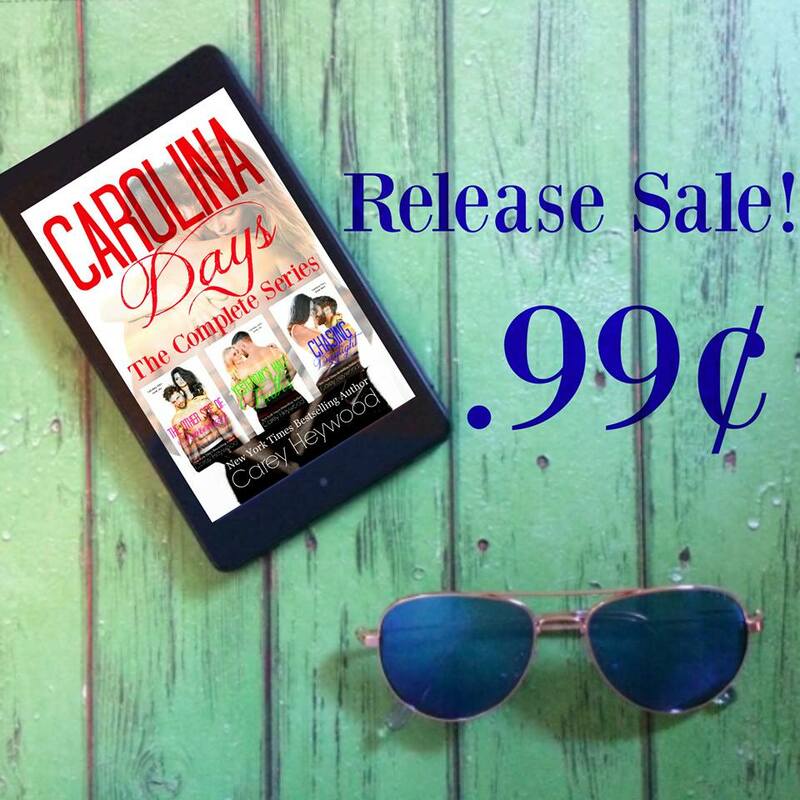 Release Pricing: Carolina Days Complete Series just 99 cents!!!!! Carolina Days Series by Carey Heywood- all 3 Kindle books just 99 cents! I have been a big fan of Carey Heywood's for a while now. I listed Him on my Top Book Favorites list last year and I absolutely love the Carolina Days series so I am so excited to spread the word that all three books are available for just 99 cents! This is a steal and I'm not sure how long this price will be around, so I'd hurry if I were you! Mitch Brooks exists day to day by keeping the world around him at arm’s length. There is no going back to the man he once was. That man is broken in a way there’s no fixing. Any hope beyond that is nothing but wishful thinking, until he meets her. McKenzie Williams needed an escape. The last thing she needed was a scary beautiful man beating down her door in the middle of the night. Now, if only their paths would stop crossing, she can convince herself she doesn’t feel a connection to him. Life has shown her the dreams she once held dear will never come true for her. Mitch struggles to get past the walls he’s built around himself, while McKenzie works to build hers brick by brick. When the outside world exposes the vulnerabilities in his façade, she abandons her own fears to stand by him. Will she be the one to save him from the darkness within him? Or will he forever be chasing daylight?